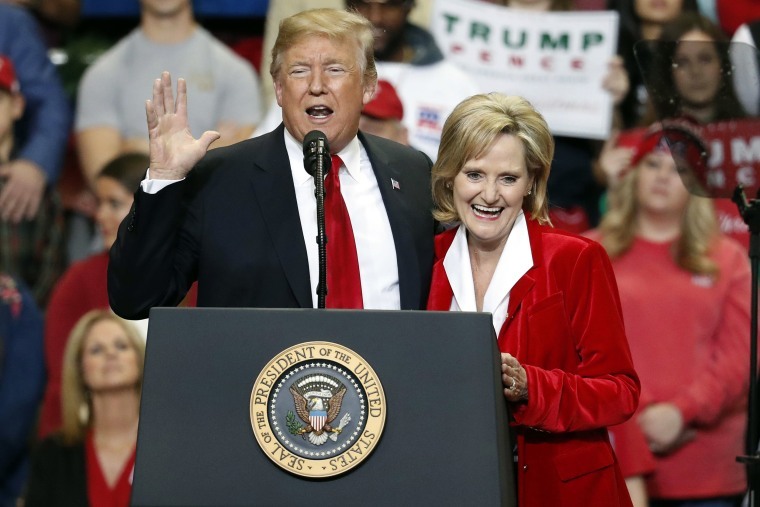 MS-SEN: Here’s our wrap of Cindy Hyde-Smith’s win in Mississippi last night. CA-21: FiveThirtyEight crunches the numbers and determines that Cox has a good chance of pulling out Democrats’ 40th House flip. Could Paul Manafort’s possibly broken plea deal be a major blow to Robert Mueller? And NBC’s Anna Schecter reports that Mueller has emails from Roger Stone friend Jerome Corsi about a pending WikiLeaks email dump. And Corsi told a federal grand jury that he helped Stone create a “cover story” about a 2016 tweet about WikiLeaks, writes the Wall Street Journal. The New York Times writes that Manafort’s lawyer has briefed Trump about what he told Mueller. Controversial judicial nominee Thomas Farr might be in some peril of falling short of confirmation. Pete Williams has the latest on the legal wrangling over the Trump administration’s asylum restrictions. In an exclusive interview with NBC, Ukrainian president Petro Poroshenko says he wants Trump to deliver a pointed message to Vladimir Putin. Trump says he’s “not even a little bit happy” with Fed chairman Jay Powell. And the president told the Washington Post that he is among those who “have very high levels of intelligence” but are not “believers” in climate change. Trump told POLITICO that he would “totally be willing” to shut down the government over border wall funding. Despite the president’s tough rhetoric on trade, he may be seeking a deal with China at the G-20. Ivanka Trump says there’s “no equivalency” between her personal email use and Hillary Clinton’s. The first big vote for House Speaker (behind closed doors) is today. Barbara Lee hopes to become the first black woman in House leadership. Could Nancy Pelosi be creating a “Freedom Caucus of the Left”?